Updated: [03.05.2015] Sync some performance settings with my own personal settings, added a link to some more performance tips (see bottom). Note: Check this article if you want to install arch on your pogoplug. So I’ll make this tutorial for Samba 4 because it seems to be slightly faster. This article will tell you how to install it on your PogoplugV2 or another PlugPC. Should be pretty much the same for all arch installations. Samba 3 is going to be removed once Samba 4 is installed. Installation of Samba 4 is pretty easy. If you want to create shares for multiple users you have to create new Unix user and add this one to samba as well. To make it clean we will create a group called “samba”. Now we can add a new user to this group. This user “fabian” is not able to login (-s /sbin/nologin) for security purposes. 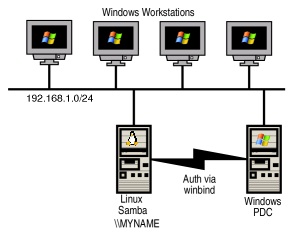 We are ready to configure our samba shares. You have to edit the Share definitions below so it fits your setup. # hosts allow = 192.168.0. # use this only for read only shares! The stock performance of samba isn’t that great. Especially with NTFS. But there are some parameters which will increase Samba performance significantly. Add all these settings to the global section in your smb.conf file. The main problem for slow file transfer speeds is NTFS, because NTFS needs much CPU on linux. If this integer parameter is set to non-zero value, Samba will create an in-memory cache for each oplocked file (it does not do this for non-oplocked files). All writes that the client does not request to be flushed directly to disk will be stored in this cache if possible. The cache is flushed onto disk when a write comes in whose offset would not fit into the cache or when the file is closed by the client. Reads for the file are also served from this cache if the data is stored within it. This cache allows Samba to batch client writes into a more efficient write size for RAID disks (i.e. writes may be tuned to be the RAID stripe size) and can improve performance on systems where the disk subsystem is a bottleneck but there is free memory for userspace programs. The integer parameter specifies the size of this cache (per oplocked file) in bytes. Everything works beautifully, thanks for these instructions. Only problem is, I manually need to do a chmod 777 on the mounted directories in /media before I can write to them from other computers. I need to do this after each reboot. Is there a way to automate the process? I am using uDevil, like you mentioned in your other article. I have a pogoplug v4 with usb3. I am getting very slow transfer rates with samba, and consistently fail to boot if there is anything else connected to the pogo except for the rootfs usb stick. I have a sony 4gb usb stick and the stock archlinux with most of the tweeks listed here and at the linuxengineering website. what is your gut feeling about why it is so slow? sorry but I need way more information otherwise I can’t help. Please post your configs, your setup (network, hdd,…) and some benchmark results. PS: v4 CPU is slower than v2 so read/write performance will be worse if you don’t use a native linux fs. Thank you for all of your tutorials; they’re wonderful! No you can use these settings they will work fine for every LAN samba installation. Thanks, your config and instructions really helped me get samba working, finally. Failed to start smb.service: Unit smb.service failed to load: No such file or directory. Failed to start nmb.service: Unit nmb.service failed to load: No such file or directory. I recently upgraded from Samba3 to Samba4 and had all kinds of problems with my smb.conf file (which worked fine in Samba3). I replaced my [global] section with the one listed here and it fixed everything!! Thanks so much for taking the time to write this up. great tutorials, guided me through the whole process, very much appreciated! what”s the expected read?write performance with Samba and a NTFS USB disk and the performance settings suggested in your blog? I just get a max of 5mb/s read and write over gigiabit lan and expected a little bit more…. any other improvements possible than formating the drive in ext3/ext4? Still struggeling with the read (9MB) and write(8MB) speed with NTFS. Just wondering if the “big_writes” parameter should be reported with mount? Any indication that something goes wrong? You can’t see this parameter in mount output. You have to execute ‘ps -ef’. There you will find the udevild process running with this parameter. Are you experiencing any performance boosts? Ok so they changed it back thx! Everybody, looks like there have been some changes to samba. Looks like a previously insalled smbclient4 is in conflict with samba. Had to remove both smbclient4 and samba4, and then reinstall samba and smbclient (no 4). Also, looks like the deamon names have been changed from smb and nmb to smbd and nmbd. # hosts allow = 192.168.1. Now i tested changing the folders permitions setting the group to samba, and giving it write permitions. Just wondering if this is the best way of doing it? i was able to read my pogoplug attached hd via samba, on my user but unable to write. however settings says it should. hope you can guide me to find the issue, im trying to have read/write permitions to jhon user via samba to the hard drive, sharing the whole hd. On the other hand, on the HD Files permitions, root:root 755. Is this a repository issue or am I doing something wrong? If I copy a big file (about 5 GB) from Win7 on my Pogo-Samba-NAS I get the message that my memory on my mounted HDD is not enough – even though I have over 200GB of free space! Do I have to activate lfs like this guys? How can I implement this on my Pogo-Arch? Thank you for the great How-Tos – I’m really looking forward to reading more from you. I am currently trying to reach my pogo V2 from the internet. I already have a domain from http://freedns.afraid.org and the owncloud android client. But I am completely new to Linux so I dont know how to configure my pogo to get Owncloud, ddclient etc up and running. In addition i am a little bit afraid about the security aspects – if my pogo is accessible from the www. Do you have a hint where i should continue? Sorry don’t know anything about owncloud. Didn’t try it myself. First of all you should try to install owncloud without dynamic dns stuff and see whether it works fine with direct ip access. Your pogoplug needs a static ip address (see my howto) and you have to forward the port (probably port 80 for owncloud) to your pogoplug ip. You should use sqlite as database because it’s lightweight. But you’re right you should be pretty careful! For SSH you should use RSA private/public key files and forbid password login. This user “fabian” is able to login (-s /sbin/nologin) for security purposes. This user “fabian” is not able to login (-s /sbin/nologin) for security purposes. Hey this works! Thanks a lot for that. I was ready to give up on my Samba adventure. Is this a save, normal way of sharing folders? Maybe there some sercurity problem with a force user? Not sure but force user doesn’t sound save does it? Probablyy a problem with file/directory permissions. Thanks for your reply (and the great howtos in general!). I can see the share and read files, but I can’t add files. On top of that try to chmod Dokumente to 775. Now it looks like one of the more obvious mistakes.. sorry. The two suggestions did the trick, – thank you! Der share ist also public ohne Benutzer ja? Oder hast du global einen Benutzer gesetzt?